With every pair of shoes you purchase, TOMS will give a new pair of shoes to a child in need. One for One. 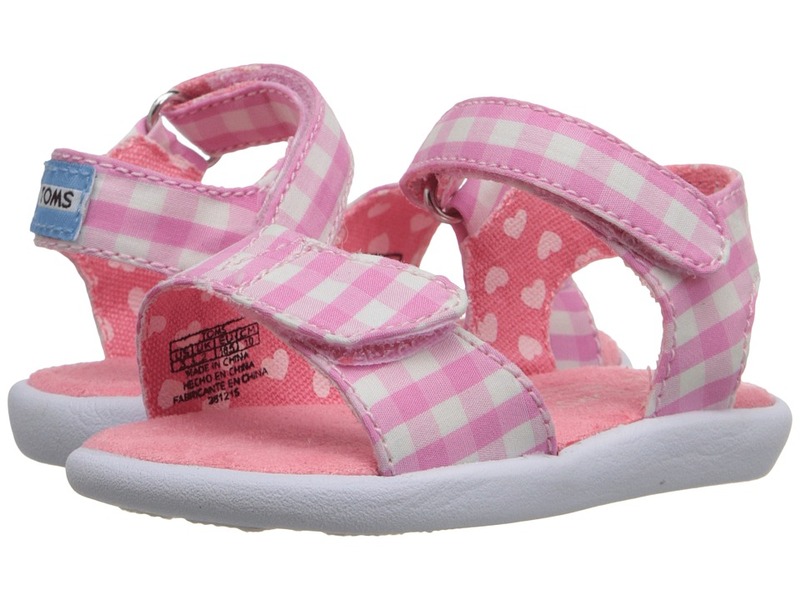 Perfect for the girl who loves being out and about on warm summer days! Comes in a combination of uppers. Peep-toe silhouette. Breathable textile lining. Suede leather footbed provides light cushioning. Woven rope midsole. Flexible, one-piece, mixed-rubber outsole. Imported. Measurements: Weight: 8 oz Product measurements were taken using size 7.5, width B - Medium. Please note that measurements may vary by size. Weight of footwear is based on a single item, not a pair. With every pair of shoes you purchase, TOMS will give a new pair of shoes to a child in need. One for One. 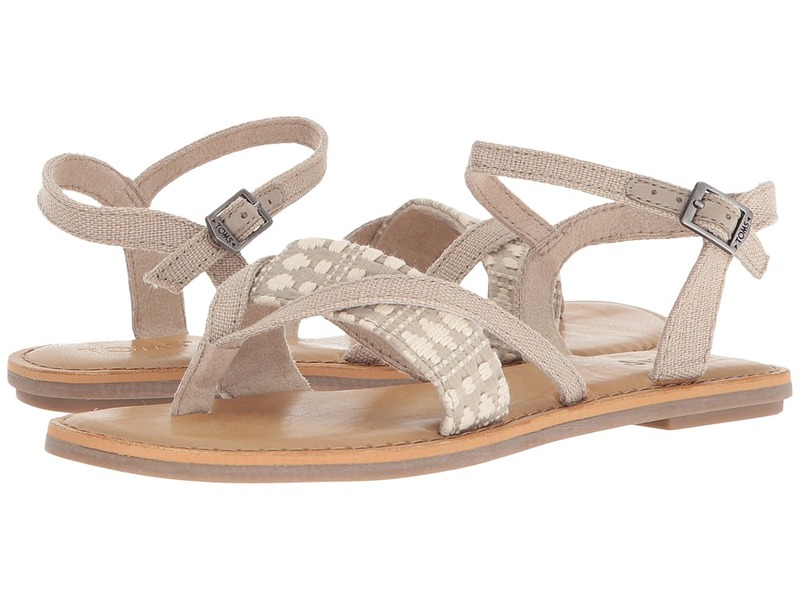 TOMS Lexie Sandal is inspired by the famous gladiator style, but with a sleek, feminine twist! Leather or textile upper. Material is stated in the color name. Please note: Pattern may vary depending on cut of material. Metal TOMS plaque on side. Ankle strap with adjustable metal buckle. Cushioned leather footbed provides light cushioning. Flexible, one-piece, mixed-rubber outsole. Imported. Measurements: Heel Height: 1 2 in Weight: 8 oz Product measurements were taken using size 8.5, width B - Medium. Please note that measurements may vary by size. Weight of footwear is based on a single item, not a pair. With every pair of shoes you purchase, TOMS will give a new pair of shoes to a child in need. One for One. 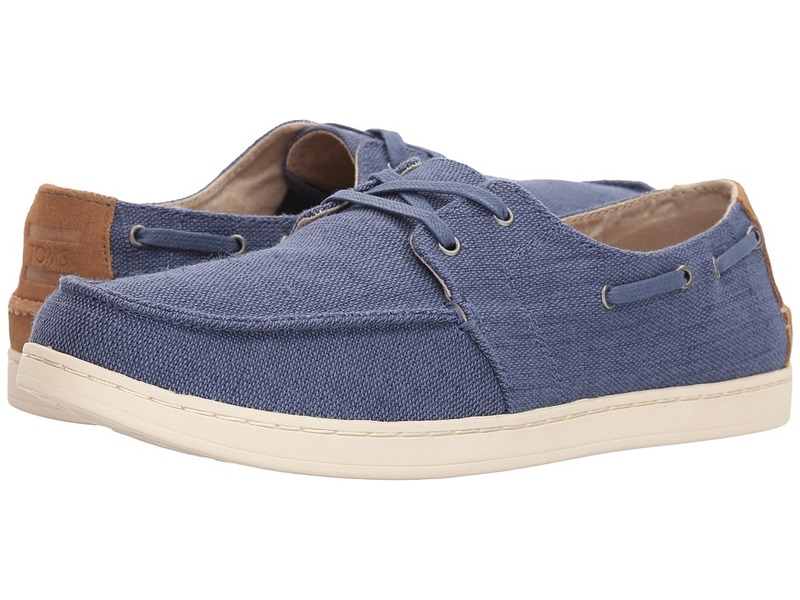 The TOMS Culver Lace-Up shoe will keep you comfortable and in style during the warmer months and on casual nights out. Canvas upper. Traditional lace-up closure. Added gore to wear with or without laces. Rib detailing on back heel. Soft textile lining. Removable antimicrobial footbed for comfort and breathable support. Durable rubber outsole with herringbone tread pattern. Imported. Measurements: Weight: 12 oz Product measurements were taken using size 11, width D - Medium. Please note that measurements may vary by size. Weight of footwear is based on a single item, not a pair. With every pair of shoes you purchase, TOMS will give a new pair of shoes to a child in need. One for One. 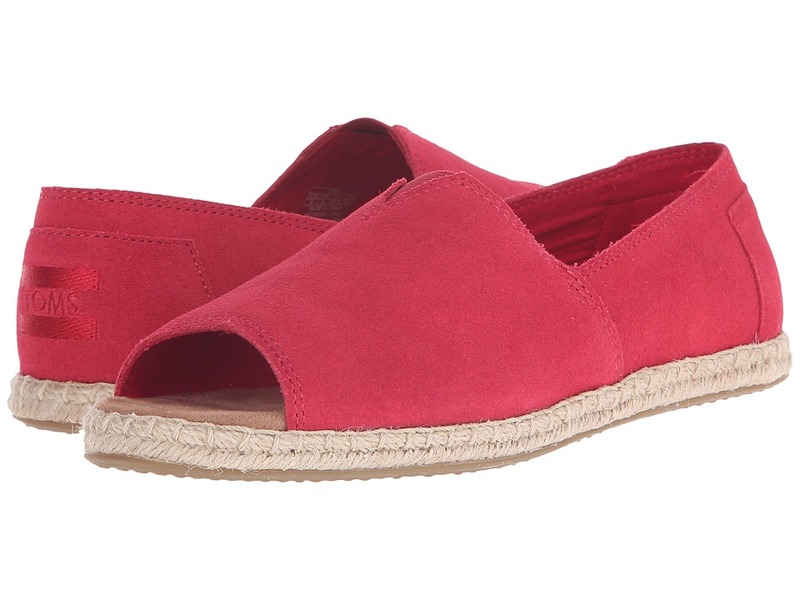 Dress up any look this season with the TOMS Majorca Mule Sandal and its perfect mix of casual sophistication. Suede or nubuck leather upper. Material is listed in the color name. Leather and textile lining. Cushioned leather footbed for added comfort. Stacked heel. Durable synthetic outsole. Imported. Measurements: Heel Height: 3 in Weight: 11 oz Product measurements were taken using size 8.5, width B - Medium. Please note that measurements may vary by size. Weight of footwear is based on a single item, not a pair. With every pair of shoes you purchase, TOMS will give a new pair of shoes to a child in need. One for One. 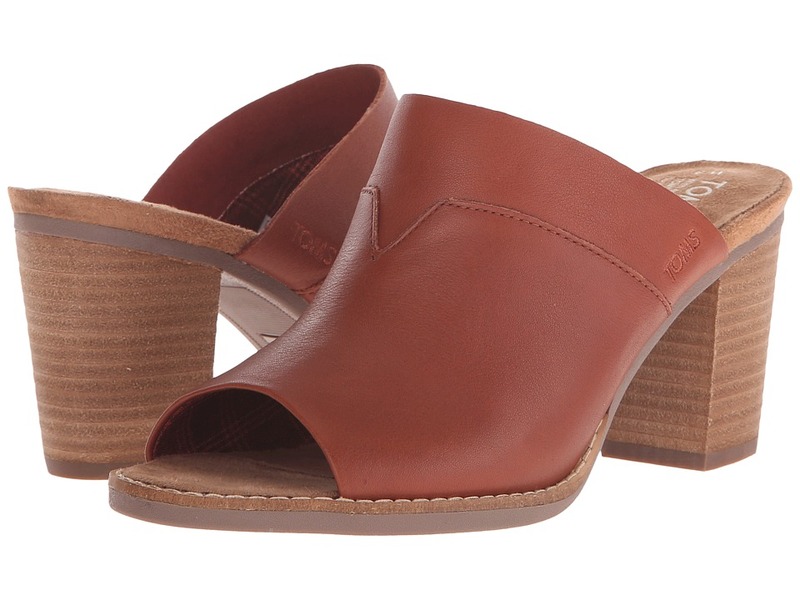 Stay comfortable and in style all season long with the TOMS Isabella Sandal. Full grain leather upper with an embossed pattern on strap. Material is stated in the color name. Leather toe strap. 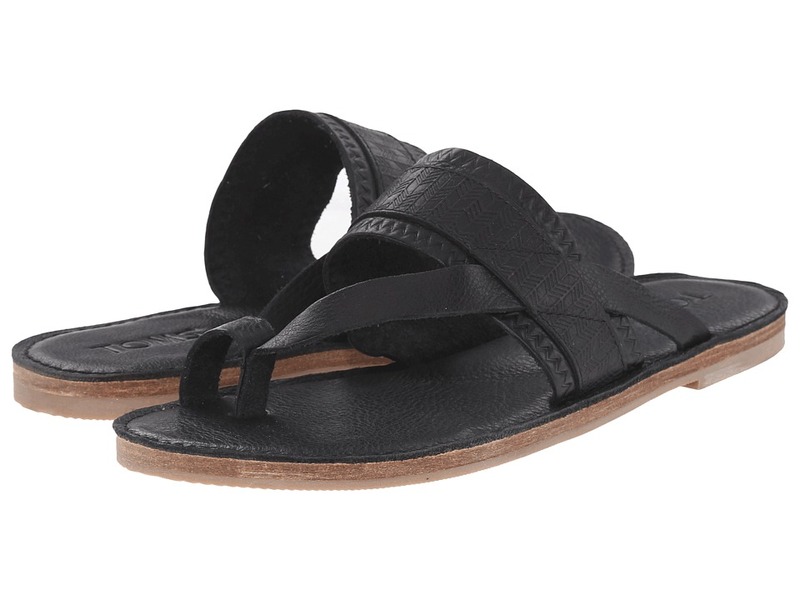 Cushioned leather footbed provides light cushioning. Flexible, one-piece, mixed-rubber outsole. Imported. Measurements: Weight: 10 oz Product measurements were taken using size 8, width B - Medium. Please note that measurements may vary by size. Weight of footwear is based on a single item, not a pair. With every pair of shoes you purchase, TOMS will give a new pair of shoes to a child in need. One for One. 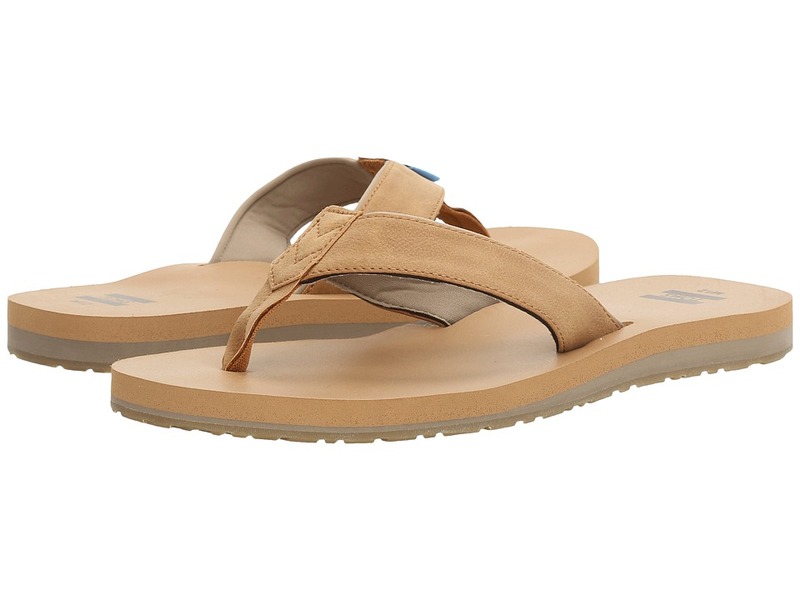 Get out this summer in total style with the TOMS Solana Flip Flop! Tribal textile straps with braided synthetic trim. Durable textile toe post. Cushioned EVA footbed with arch support. Durable rubber outsole with tread pattern for added grip. Imported. Measurements: Weight: 5 oz Product measurements were taken using size 9, width B - Medium. Please note that measurements may vary by size. Weight of footwear is based on a single item, not a pair. With every pair of shoes you purchase, TOMS will give a new pair of shoes to a child in need. One for One. 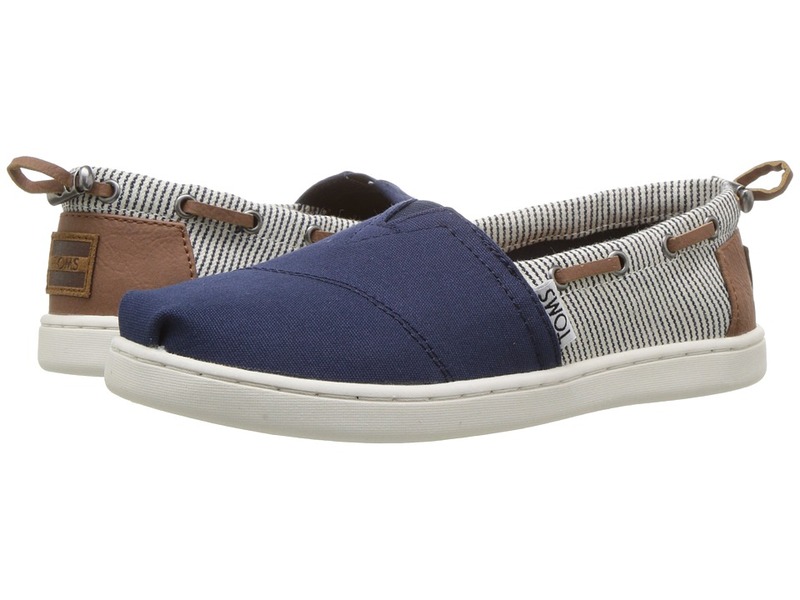 The TOMS Avalon Slip-On design offers incredible style, stability, and comfort that makes it ideal for everyday wear. Comes in a variety of uppers. Material is stated in the color name. Elastic V-panel for easy on and off. Soft textile lining. Comfort textile footbed provides light cushioning and breathability. Flexible, one-piece, mixed-rubber outsole. Imported. Measurements: Weight: 8 oz Product measurements were taken using size 7, width B - Medium. Please note that measurements may vary by size. Weight of footwear is based on a single item, not a pair. With every pair of shoes you purchase, TOMS will give a new pair of shoes to a child in need. One for One. 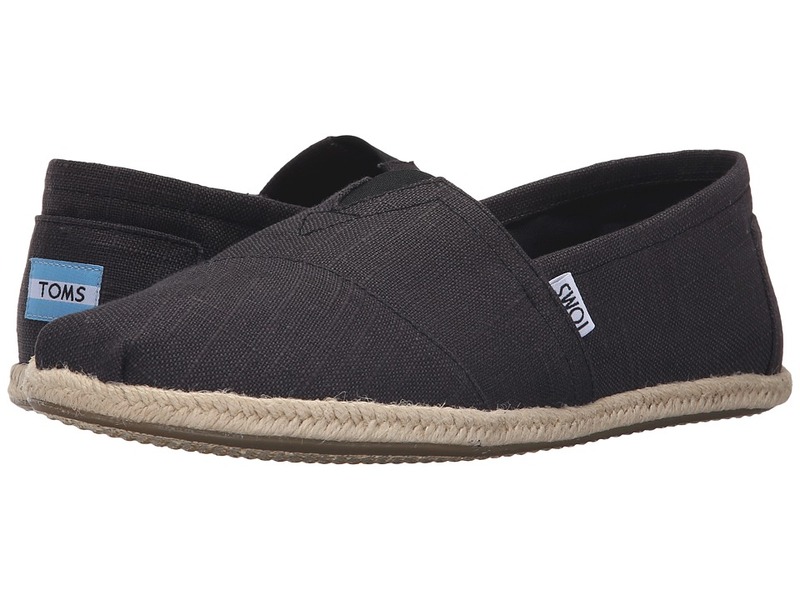 The TOMS Avalon Slip-On is inspired by the beach culture with its easy fit, lightweight design, and their customer cupsole. Comes in a variety of uppers. Material is stated in the color name. Elastic V-panel for easy on and off. Suede leather footbed provides light cushioning and breathability. Flexible, one-piece, mixed-rubber outsole. Imported. Measurements: Weight: 10 oz Product measurements were taken using size 12, width D - Medium. Please note that measurements may vary by size. Weight of footwear is based on a single item, not a pair. With every pair of shoes you purchase, TOMS will give a new pair of shoes to a child in need. One for One. 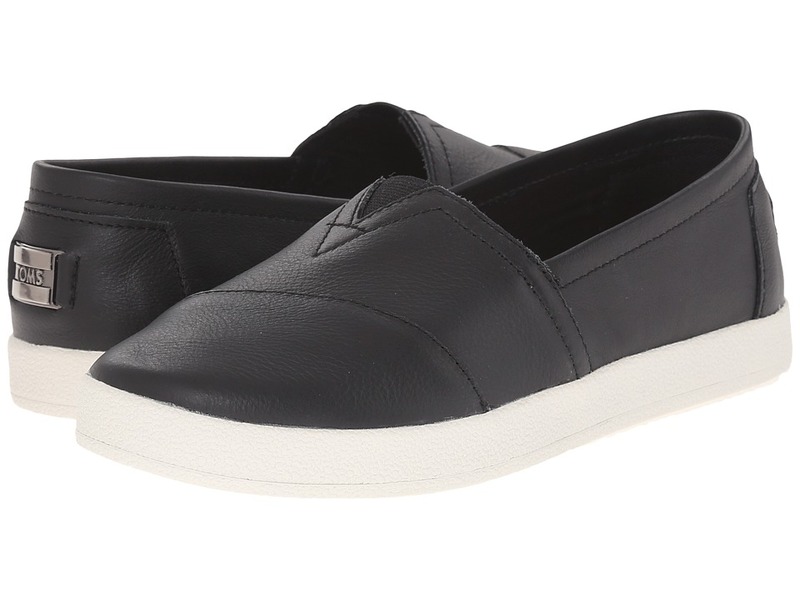 The TOMS Del Rey sneaker is a sport-inspired style that will keep up with your on-the-go life. 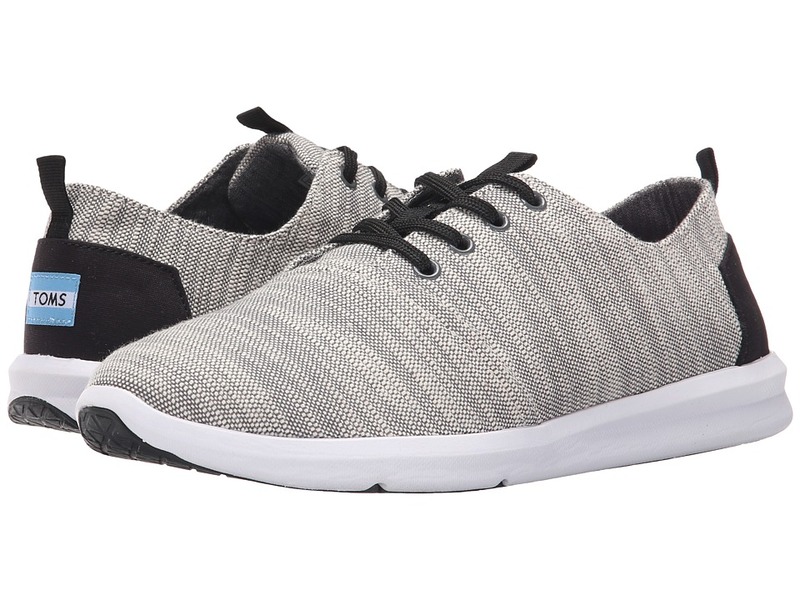 Woven textile upper. Traditional lace-up closure with convenient rear pull tab. 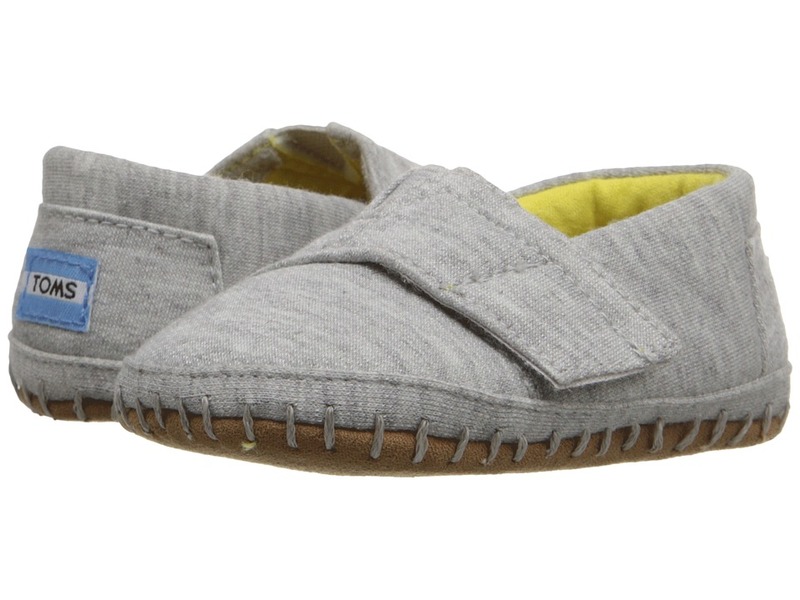 Breathable textile lining and cushioned footbed. Durable synthetic outsole. Imported. Measurements: Weight: 14 oz Product measurements were taken using size 11, width D - Medium. Please note that measurements may vary by size. Weight of footwear is based on a single item, not a pair. With every pair of shoes you purchase, TOMS will give a new pair of shoes to a child in need. One for One. Be ready for every outdoor beach party, boating adventure, and barbeque with the super stylish and comfortable TOMS Carilo Flip Flop! Synthetic upper. Tribal-print interior lining. Durable textile toe post with synthetic trim. Cushioned EVA footbed with arch support. Durable rubber outsole with tread pattern for added grip. Imported. Measurements: Weight: 7 oz Product measurements were taken using size 11, width D - Medium. Please note that measurements may vary by size. Weight of footwear is based on a single item, not a pair. With every pair of shoes you purchase, TOMS will give a new pair of shoes to a child in need. One for One. 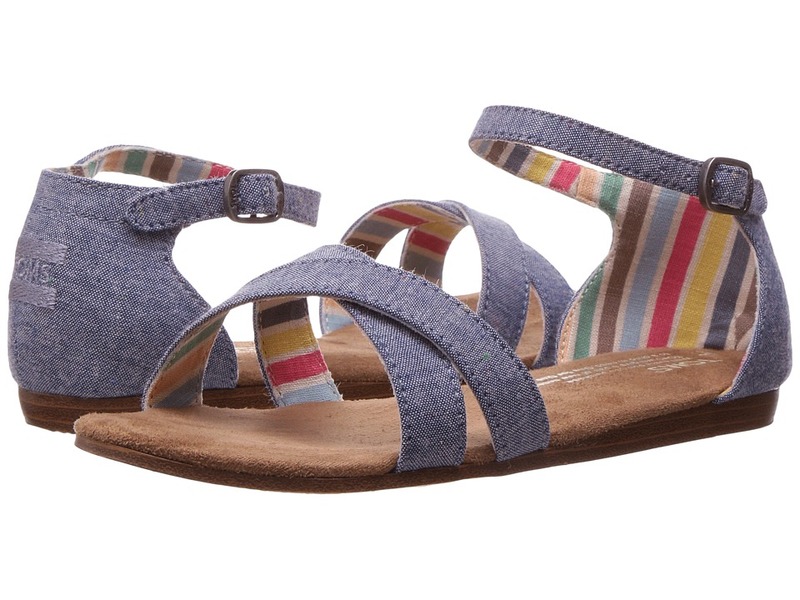 Add a little stylish fun to your look this summer with the beautiful TOMS Strappy Wedge! Textile upper. Ankle strap with side buckle for a secure and adjustable fit. Soft textile lining offers a comfortable next-to-skin feel. Cushioned comfort insole with antimicrobial sock liner. 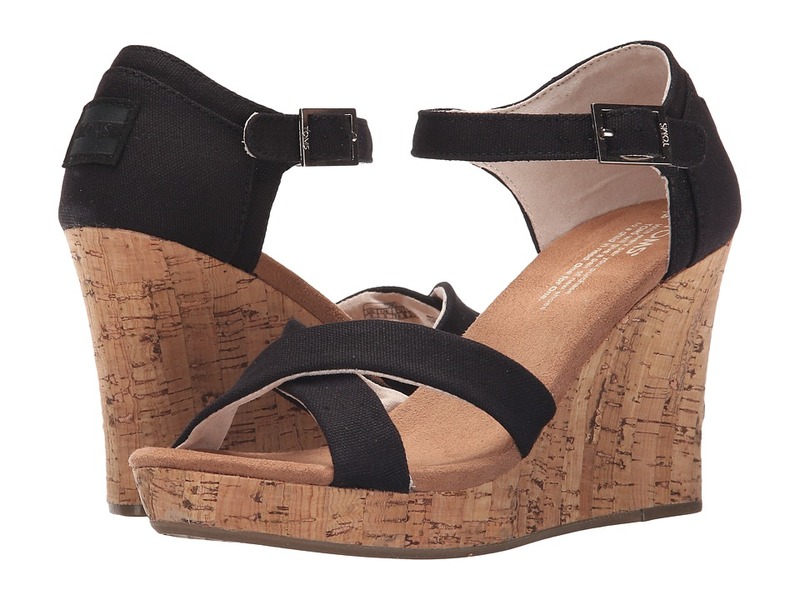 Cork wedge. Durable rubber outsole. Imported. Measurements: Heel Height: 3 1 2 in Weight: 10 oz Platform Height: 1 in Product measurements were taken using size 8, width B - Medium. Please note that measurements may vary by size. Weight of footwear is based on a single item, not a pair. With every pair of shoes you purchase, TOMS will give a new pair of shoes to a child in need. One for One. 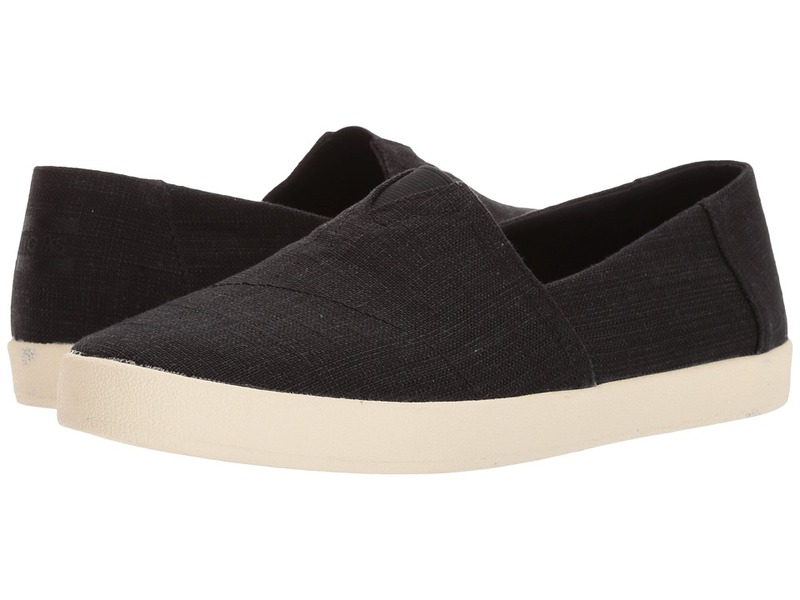 Seasonal materials bring TOMS Classics up-to-date with a contrasting accent for a whole new wardrobe essential. 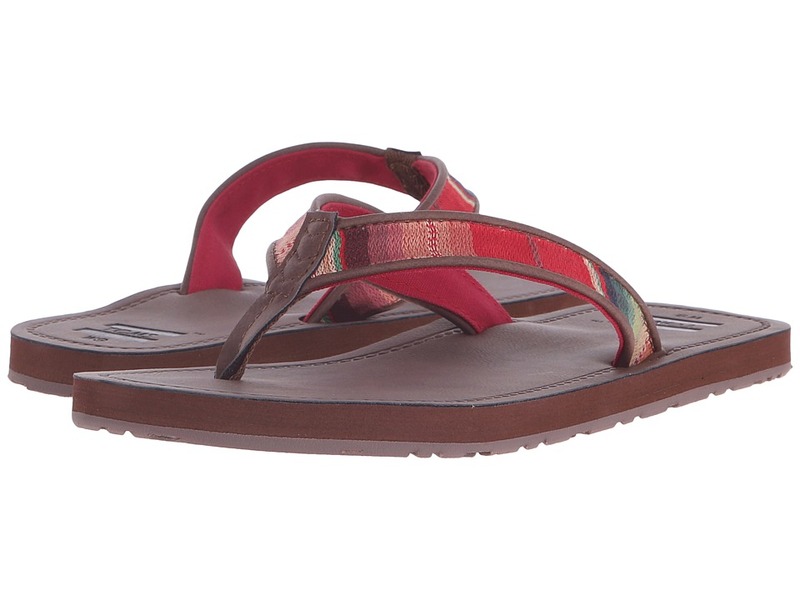 Woven upper with faux leather trim and classic toe stitch detailing. Elastic V-panel for easy on and off. Breathable textile lining. Suede leather footbed provides light cushioning. Latex arch insert for added support. Flexible, one-piece, mixed-rubber outsole. Vegan construction. Imported. Measurements: Weight: 5 oz Product measurements were taken using size 12, width D - Medium. Please note that measurements may vary by size. Weight of footwear is based on a single item, not a pair. With every pair of shoes you purchase, TOMS will give a new pair of shoes to a child in need. One for One. With a decorative rope sole and whipstitch, these suede Classics are truly unique. 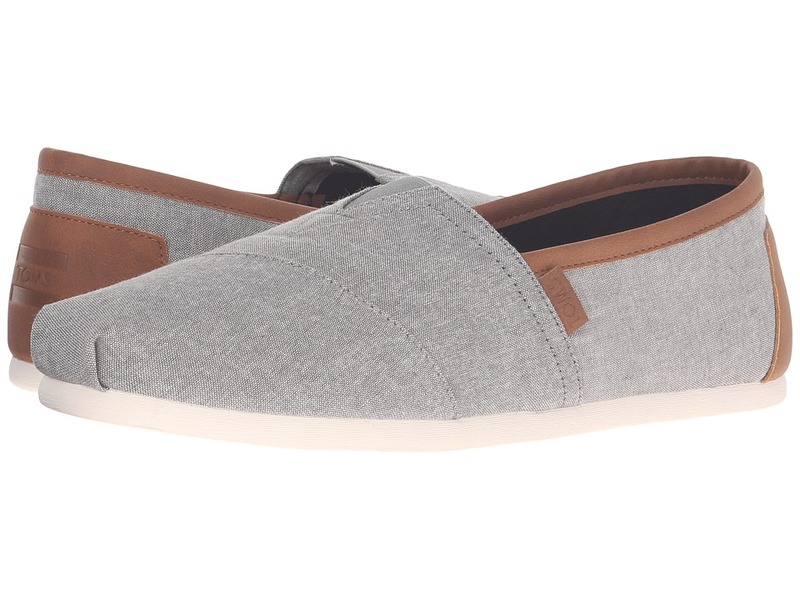 Suede leather or canvas upper with classic toe stitch detailing. Material type is stated in the color name. Elastic V-panel for easy on and off. Breathable textile lining. Suede leather footbed provides light cushioning. Latex arch insert for added support. Rope outsole construction or flexible, one-piece, mixed-rubber outsole. Imported. Measurements: Weight: 8 oz Product measurements were taken using size 10.5, width D - Medium. Please note that measurements may vary by size. Weight of footwear is based on a single item, not a pair. Bottoms not included. Va, Va, Voom! Shirring and gathering on bodice with MMK emblem under bust. Straight neckline. Removable halter neck tie. Straight hemline at longer length for more coverage. Fully lined. 85 percent nylon, 15 percent spandex. Lining: 92 percent polyester, 8 percent spandex. Hand wash and drip dry in shade. Imported. If you~re not fully satisfied with your purchase, you are welcome to return any unworn and unwashed items with tags intact and original packaging included.